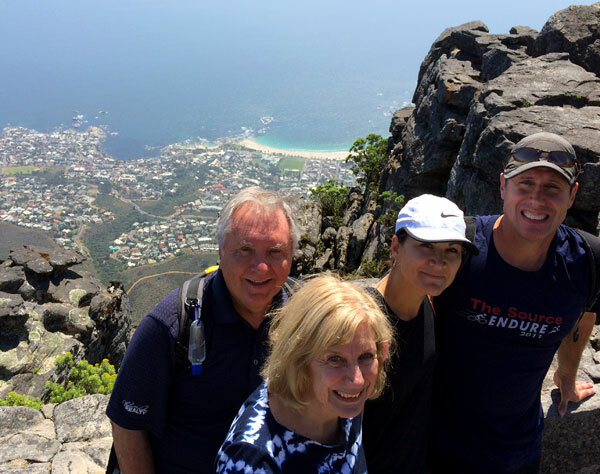 The week provided plenty of perks (pardon my alliteration), from the trip up Table Mountain, to wine tasting in the beautiful coastal vineyards, tasting a “Pinotage” for the first time. But none of those moments hold a match to the interaction my family and I experienced with the African youth workers who live completely on the opposite side of the globe from us, yet share in the relationship we have to Christ, a bond that made our connection a family reunion, as if we’d known each other for a lifetime. Isn’t God’s Kingdom cool like that? Cape Town isn’t “the bush” of Africa. It’s not remote or isolated like Uganda. In some ways it’s as modern as Western cites along the coast of California. Regardless, the youth workers don’t have access to the training we do in the United States. Frankly, those of us in ministry in the U.S. are spoiled. In fact, there are probably too many conferences in the U.S. We can’t even decide which ones to go to (Hmmmmm… which of these 7 conferences should we go to this October?). The same was true with youth ministry resources. Most the youth workers there struggled to get many of the newest youth ministry books available in the states. First, the exchange rate is horrible for South Africans right now, so the Rand doesn’t go far buying U.S. products. Secondly, many of the resources aren’t even available. I looked on the South African version of Amazon and only found a handful of my books, where Amazon has 18 of them. It was hard for South African youth workers to get the books they wanted even if they had the money. That’s where our TheSource4YM.com’s free resources and free training tools were a huge plus. Anyone with internet had access to the most current resources we add to our web page weekly. Cape Town is uniquely Caucasian for Africa. I knew this going into the trip; I had read the history. But I was still surprised how white the city was as a whole. It was quite a transition for me personally from Kampala to Cape Town. After four days hanging with over 100 youth workers from around the region, I didn’t meet a single person who wasn’t excited to learn new things. Please, don’t take this as a “dis” if you’re from the U.S. I encounter humble teachable people all the time at U.S. conferences; but sadly, I also encounter a handful of, “I’ve got this youth ministry thing down!” and “I should be teaching here.” Funny, I didn’t meet even one in South Africa. Maybe their desperation for resources and training (reflections 2 and 3 above) creates a teachable spirit. I can’t pinpoint it. But it was refreshing. It was nice to be in a room where we all felt like we had a lot to learn from each other. My family and I all felt privileged to be part of the conference. I look forward to the opportunity to do it again. thanks for the updates Jon. i love hearing how Christians live across the globe. made me thankful for the resources and other opportunities that are available here in the states.